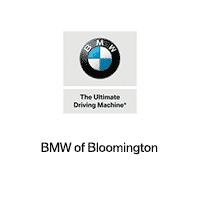 When drivers need BMW parts near Normal or Decatur, they choose BMW of Bloomington. Our experts know the value of BMW OEM parts, can help you find the part or accessory you’re looking for, and can install it on-site. Want the convenience of ordering BMW parts online? You don’t have to settle for aftermarket — you can just fill our our online order form, you can be assured of a quick and easy process. Much like how you should always use BMW-recommended engine oil, it’s best to use only BMW OEM parts in your vehicle, and our Bloomington location makes it easy to pick up the BMW parts you ordered from us online. You drive a BMW; treat it like one by using the proper parts.